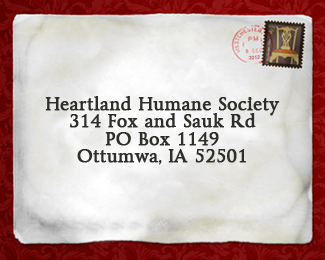 Heartland Humane Society has many dogs and cats available for adoption. The adoption fees vary. Contact us by telephone to find out more. All animals have been wormed and are up-to-date on routine vaccinations. The shelter is open for adoptions from 12:00pm to 5:00pm Tuesday through Saturday, or by appointment.